Bennington County houses 15 public elementary schools, 8 middle schools (either as part of an elementary/high school building or as a separate school) and 5 high schools in 5 supervisory unions. There are also several private schools in the county. 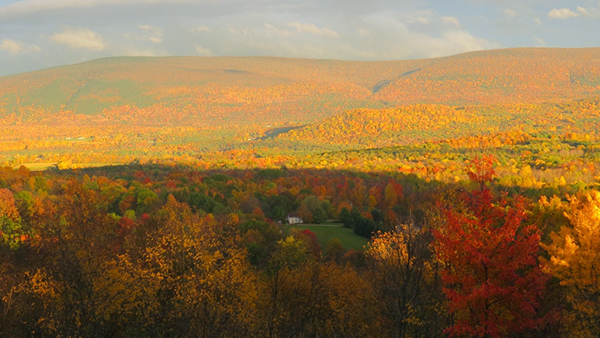 Bennington County hosts many authors and professional writers. Many are nationally prominent. We have an exceptionally vital intellectual community stimulated by a tradition of independent thinkers, local colleges, and surroundings conducive to reflection. Bennington College. A premier small private liberal arts college with top-notch faculty and resources. Very strong in fine arts and language education. Technologically savvy. Community College of Vermont. Affordable, rigorous, relevant college courses. An active learning center in downtown Bennington. Active adjunct faculty drawn from active professionals in the community. Southern Vermont College. A private career oriented liberal arts college sited with majestic views on Mt. Anthony. Coursework includes solid offerings in business, environment, health care, and law enforcement. Vermont Technical College. Outstanding multifaceted technical college, strengthened by relationships with corporate partners such as Southwest Vermont Medical Center. Northeast Baptist College. Northeastern Baptist College exists to impact the United States and the World through providing a Academically Sound, Biblically Strong, and Practically Relevant, college education from our campus strategically located in New England. We will provide Bachelor’s Degrees in Biblical Studies, Music, and Education. University of Vermont, Burlington, VT. One of the oldest and best state universities in the U.S.. Research and development, engineering, continuing education, and other resources increasingly available through extension and remote education services. SUNY Polytechnic Institute, Albany, NY. SUNY Polytech supports the semiconductor industry in technology development for short- medium- and long- term horizons through partnerships with International SeMaTech (ISMT), the Focus Center Programs and other programs funded by the Semiconductor Industry Association. Renseleaer Polytechnic Institute, Troy, NY. A world-class technical school with advanced research and development facilities, less than an hour’s drive from Bennington. Trains technicians and engineers in the very latest technologies. Williams College, Williamstown, MA. A top historic private liberal arts college on the southern doorstep of Bennington County. Faculty and students have incubated some of the most successful cyber communities on the Web.